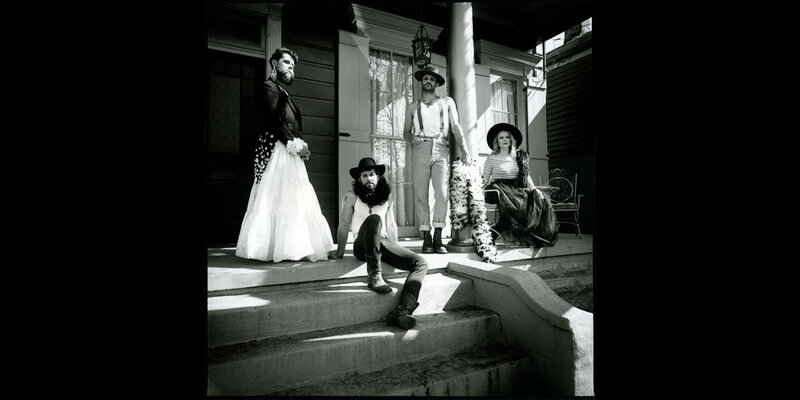 The Wanting is a Southern Gothic Folk trio based out of New Orleans, Louisiana. The band’s name and style are an ode to the “high, lonesome sound” of old Americana with a finely crafted, modern emotion. Their kindred harmonies plunge into the depths of a sparse and dark musical aesthetic, creating a timeless sound and relevant sentiment. Inspired by elements of early twentieth century music, such as classic country, old time, gospel, and traditional bluegrass, their songs incorporate modern elements of the esoteric, the occult and the unknown. The Wanting is a new sound emerging from the Deep South, marked with a hybrid medley of nostalgia and popular culture. Their debut album, “Dark Road”, released in the fall of 2018 was live-track recorded on the renowned twenty six acres of Studio In The Country in Bogalusa, Louisiana. The record is a delicate expression of the times, an invitation into the band’s genuine and well designed emotional world, where the veil between faith and sorrow hang on every note of deceivingly hopeful songs.